This is a rectangular Nicolene Motor Oil porcelain sign. This particular Nicolene Motor Oil sign is green with white and red text. 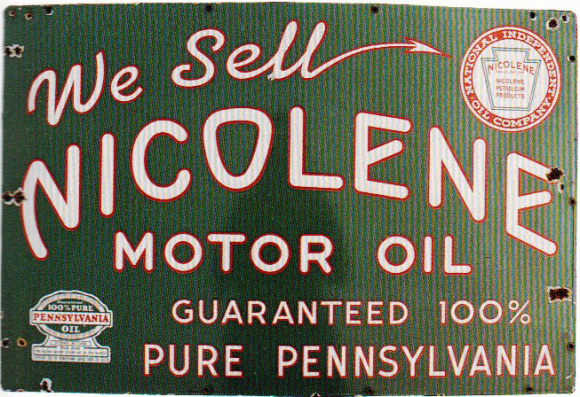 It reads, “We Sell Nicolene Motor Oil, Guaranteed 100% Pure Pennsylvania” and features the emblem of the National Independent Oil Company in the upper right corner.